Frank & Kraft, Attorneys at Law is extremely proud of the service we provide to the residents of Johnson County, Indiana. Our legal professionals work to help your clients enjoy the comprehensive estate plans that can protect their assets, ensure that their interests are safeguarded during periods of incapacity, and help them plan for long-term care and other end-of-life concerns. Our strategies will not only provide your assets with the protection you deserve, but help you grow them over time so that you are able to leave your loved ones a legacy worthy of your life’s work. Life is filled with complications and many are unpredictable in nature. We can help you counter that unpredictability with contingency planning that is goal-focused. When you need elder law and estate planning help, the experts at Frank & Kraft, Attorneys at Law can help. Johnson County, Indiana is part of the Indianapolis-Carmel-Anderson Metropolitan Statistical Area, and has a population of 147,538 (as of 2014). The county was first created in 1823, and bears the name of an early judge of the state’s Supreme Court, John Johnson, who many historians believe to have been the same John Johnson who served as the delegate from Knox County at the state’s constitutional convention. The county offers a diverse economic outlook for area residents, with a strong emphasis on higher-skilled industries. Scientific, professional, management and administrative services account for more than one-fifth of all industry – with health, education-based services, and social services providing another 15%. Roughly 40% of area residents work in industries located within the county’s borders. More than a third of area residents are employed in management, production, or construction jobs. Sales, maintenance and installation occupations, and administrative support provide another 25% of all employment opportunities. The 2013 median household income for Johnson County was reported at $57,245 – up roughly $4,500 above the number reported for 1999, and almost $10,000 more than the median household income statewide. That higher income represents an important opportunity for families in the area to successfully leverage their income and build wealth over time. Of course, many of those residents need assistance protecting and growing that wealth. 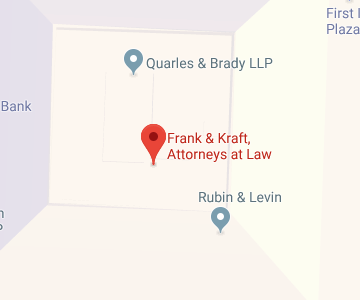 The planning experts at Frank & Kraft, Attorneys at Law assist many area residents with those efforts. In 2013, the median age of residents within the county was reported to be 36 years old. Of those, 25% are under the age of 18, while roughly 14% are over the age of 645. Throughout the county, about 8.1% of residents live in poverty. That includes 4.8% of all seniors living in the area. Seniors in the county are like seniors everywhere; they tend to focus on living in their own homes for as long as they are able. As their health needs change, however, so too do does their capacity to take care of all of their own needs. When that happens, seniors often turn to family members or in-home care options to supplement the care they provide for themselves. In many cases, they eventually require the more extensive care offered by the area’s nursing homes. Caring.com provides a list of available nursing home and long-term care facilities in the county. Even with the right resources, though, it can be difficult for many seniors and their families to navigate the long-term care maze. Many nursing homes offer dramatically different levels of care, and can differ in price as well. Seniors routinely need to rely on programs like Medicaid to help cover the costs of nursing home care, but they may not know how to qualify. At Frank & Kraft, Attorneys at Law, we can help guide area seniors as they deal with long-term care issues. Housing and labor are important concerns for new residents in the area. To help with those concerns, demographic information about housing and labor can be helpful. Throughout Johnson county, the 2013 estimated median house and condo value was $139,300, more than $17,000 higher than the statewide median. The median cost for rentals was $684, which is nearly $100 more than the reported median across the state. Among area residents age 25 or older, nearly 86% have a high school diploma or some amount of higher education. 23.1% have a bachelor’s degree or more. Unemployment in the county was estimated to be slightly under 4%. Probate court provides important services for the community in the area, handling everything from guardianship for minors and incapacitated adults and seniors to estate settlement. Probate and guardianship matters are complicated, and many people facing actions in the court often require assistance to properly navigate the process. At Frank & Kraft, Attorneys at Law, we are committed to ensuring that every resident in the area has access to the probate help needed to manage all of these important concerns. The estate planning and elder law experts at Frank & Kraft, Attorneys at Law are committed to providing the residents of Johnson County, Indiana with the advice and assistance needed to meet all of their most pressing legal needs. We offer asset protection that can secure your wealth and help it to grow over time, help with planning for nursing home costs, and full estate planning services that can ensure that you are prepared to deal with incapacity if that eventually happens to you. Our estate plans can help you get the peace of mind you deserve, while ensuring that your legacy is established on a firm foundation. If you would like to know more about Johnson County or discover how our firm can help you, contact us at our website or call (317) 684-1100 today.